It was a typical day for Joan Stavros. Like many other moms, she picked up her child after work never anticipating it would be the last time. She picked up her son from preschool at 3 p.m., and he spent a few hours with her at the office before going home. Stavros’ daughter, then 16 years old, was anxious to show her mother a used car. Eric was tired and hungry and asked for a hot dog. “I started boiling the hot dog and asked my mom to watch him,” Stavros said, recalling the tragic day she lost her four-year-old son. Stavros and her daughter were gone for a mere 45 minutes. But in just a few minutes, part of her son’s hot dog became lodged in his throat. “We respond to approximately 28 choking calls per year. 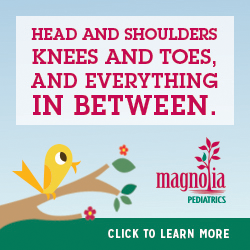 Approximately 16 calls are adult and 12 are children, with toddlers being the most frequent,” said Susan F. Bailey, assistant EMT training officer for the City of Baton Rouge/Parish East Baton Rouge Department of Emergency Services, which does not have any documented deaths related to choking. The American Academy of Pediatrics (AAP) announced through its policy statement, “Prevention of Choking among Children,” published in a recent issue of Pediatrics, that it wants to prevent any possibility of choking deaths. To this end, the AAP has been urging the U.S. Food and Drug Administration (FDA) to establish a nationwide food-related choking-incidence surveillance and reporting system to warn the public of existing and emerging hazards. Specifically, the AAP made recommendations in their policy statement that includes putting warning labels on foods such as all hot dogs, marshmallows and round or cylindrical hard candies which pose a high choking risk to children. Currently, only some hot dog brands, such as Kraft’s Louis Rich Franks, Oscar Mayer Franks and Ballpark Singles hot dogs, include warning labels. Stavros said she is hopeful the FDA will heed the recommendations. In her son’s memory, Stavros has been working hard to have more food labels added to warn parents about choking hazards. But Stavros said increased food labels are just part of the solution. She said pediatricians need to educate parents more about the dangers of certain foods and choking. Thompson said toddlers are the most likely age group to be brought in for choking at the hospital, with peanuts, grapes, hot dogs and meats being the biggest choking risks. “They are not able to grind foods well enough to prevent choking; also coins, latex balloons and small toys,” she said. Older children are more likely to choke on hard candy, peanuts, peanut butter, gum, and again as in younger children, hot dogs. Hot dogs are the biggest culprits because they are shaped like a child’s airway—cylindrical—and are about the same size as the airway. Babies, for the most part, choke on items that “older children feed them, foreign objects that they explore by putting them in their mouths,” Thompson said. Toddlers and babies are more likely to be brought in because of choking on small objects such as toys, said Billy Conerly, R.N., and director of the Lane Memorial Emergency Department. 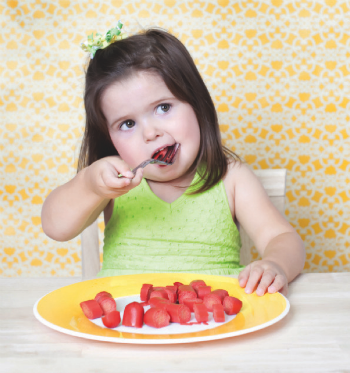 While this is often the case, parents still need to caution against certain types of food. Mark Olson, a public relations employee with the East Baton Rouge Emergency Medical Services (EMS) Department, said that when his daughter was just learning to eat solid food, she started to choke on rice he was feeding her. Regardless of your child’s age, learn the Heimlich maneuver. If you use it in the future, make sure your hands are positioned correctly and that you use enough force. Conerly said that often those who do the Heimlich have improper hand positioning and don’t use enough force. Do not panic and do not give a choking child something to drink, as the liquid can take up space required for air, Conerly said. If a child is coughing, crying or talking, do nothing. For infants younger than one year of age, back blows should be performed. For children older than one year of age, the Heimlich maneuver should be performed. If the object is not relieved and the child becomes unresponsive, CPR should be initiated. Call 911 only after attempting the suggestions first or have someone call for you while you attempt to dislodge the object rather than trying to transport the choking child to the ER, Thompson said. The East Baton Rouge Parish schools cafeteria managers are state certified, meaning they are required to take a first aid course, which includes detailed training in CPR and the Heimlich maneuver. “They are trained to do the Heimlich maneuver on adults as well as children and they practice this on actual people in the first aid class. Our managers also do periodic safety training with their school staff which includes information about choking,” said Emily Hartman, CNP Purchasing Coordinator/Area Supervisor for the East Baton Rouge Parish School System. As of press deadline, the FDA did not indicate any changes to its policies regarding food labels. Parents who are in contact with babies, children and toddlers should learn all they can about the possible choking hazards. “Being educated on the most common food/objects that children choke on, in addition to the properties of those items that make choking more likely, would be the advice I would give parents and caregivers (i.e. smooth, round, size of an infant/child’s airway, ability to control the airway. ),” Thompson said.